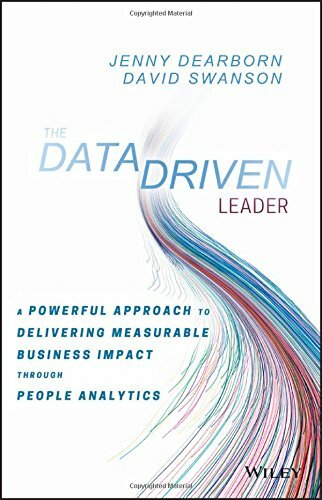 Jenny Dearborn, co-author of The Data Driven Leader, discusses her new book. Knowledge@Wharton: Do you see this book as a teaching tool for companies and their human resources department? Jenny Dearborn: Yes. It really is designed for executives across all the different functional areas, but especially for HR. It’s HR professionals who are supposed to be monitoring and coaching and encouraging the right behavior for leaders across the company. Knowledge@Wharton: When you think about how leadership and HR work together, what links big data between the two? Dearborn: Historically, HR departments have been run by wonderful people who are great people-people. They are great at the human interaction. They’re great at being empathetic. They’re wonderful at caring deeply about how people feel, and that’s fantastic. But to be a competitive differentiator moving forward, we need to move beyond that. We need to use all of the tools available in order to be more effective. Every other functional area in a business is using all of these resources, all of the data and insights. HR needs to use that, too, for their primary responsibility, which is to groom the leadership skills across the company. Knowledge@Wharton: Does this require HR professionals to change their point of view about their roles in the company? Dearborn: Absolutely. It really is taking HR departments by surprise, which is part of the motivation for writing this book. It’s trying to give my peers the tools they need to keep up and be effective. One of the pieces of research that I cite in the book is that in 2016, for the very first time, more than 50% of the newly appointed chief human resources officers did not come from HR. If you started at the bottom in HR, you’d think, “With time, I’m going to get to that top job.” Now, more than 50% of the time, that’s not going to be somebody who has started at the bottom. It’s going to be somebody who came laterally from the head of marketing or operations or sales or finance or pretty much anywhere else. The No. 1 reason why is the lack of expertise in data and analytics. Knowledge@Wharton: Do you expect to see HR departments bringing data scientists into their operations? Dearborn: That is the No. 1 requested new job that all HR departments around the world are looking for. At the top of their list is somebody who can drive the data and analytics for their department, so every HR department is looking for data scientists. It’s unusual to go to a university recruiting event, go to the data science or statistics department and say, “Hi, I’m in HR. Do you want to come to HR?” The undergraduates are scratching their heads, but it really is the trend. Knowledge@Wharton: What are the roadblocks for HR in terms of getting access to data? Dearborn: Oftentimes, the internal data in an organization is kept in lots of different places, so it is not consolidated neatly. I’ve never known of any company where all the data is consolidated neatly. You have sales data in the sales department. You’ve got customer interaction data in customer service. You’ve got productivity numbers all over the place. The coming together of all of this information is where the power is. Each of these groups is going to hold on to the data they have because it’s a sense of power for them. They’re concerned with: “If I give you this information, how are you going to use it to potentially make me look bad, make me look like I missed a trend or that I wasn’t doing my job as well as I could have?” There’s a lot of searing skepticism about giving over raw data to a central group and saying, “Triangulate this. Put some algorithms on top. See what you come up with.” People are quite reluctant to share. Knowledge@Wharton: You point out that executives don’t always make decisions based on the data points that are provided to them. Why not? Dearborn: My hypothesis is that most companies have all the data that they need, they just don’t know how to use it. They don’t know how to put it together or what questions to ask. They don’t really know what they’re looking for. Most companies have tons of information about their customers, about which accounts are more productive, which accounts are high margin, and which accounts are a complete waste of time because the return isn’t there. Companies know this. But they don’t have the time or the discipline to take a step back and ask themselves tough questions like: What are we doing here? What is our purpose? What are our goals? What are we trying to achieve? What is the best way to get there? Knowledge@Wharton: Companies have all of this data at their fingertips and don’t really know what to do with it, which is a big problem. It’s also a little scary, considering the concerns about the use and protection of data. Dearborn: There are significant concerns around data privacy. What are you going to do with this information? What is it going to say about me, about my behavior, about my buying patterns, about who I am? How is this information going to reveal something that maybe I don’t want to have revealed to my customers, to my employer? There are also a lot of concerns about employer’s rights in all of this. Some countries have very strong rules and regulations around data privacy, and other countries are less restrictive. It really is kind of a wild west right now. Another strong theme in the book, and in a lot of the speaking that I do, is around the importance of diversity in the data scientists so that we can make sure the questions being asked of the data — and the decision-makers of how artificial intelligence and machine learning are being used — are really representative of a diverse perspective across society. There is a very narrow group of people who are making really powerful decisions using data. It would be better for all of us, in corporations and society, if it was more open and more transparent around how the data is being used, what decisions are being made and if a diverse group of people was engaged in that decision-making. Knowledge@Wharton: How has your understanding changed you as an executive at SAP? Dearborn: It has made me significantly more empathetic to the rights of everyday employees and everyday people. I started this journey wanting to get more information so that I could prove the value of the work that I was doing. I was in charge of a huge department. We had a significant charter to go roll out learning and development in a corporation. Someone said, “How do you know what you’re doing is actually making a difference?” I decided to dig into data and information to get facts to support that what I’m doing is actually making a difference and making a positive contribution to my corporation. That was the start of my journey. The more I got into it, the more I said, “Wow, this is really powerful.” I now have insights into people’s behavior, people’s choices. You extrapolate that out, and you can start to predict behavior. That’s really powerful. It’s a wonderful tool for a corporation to make sure that they meet their revenue targets. But there are bigger implications for us as a society. I’d love for us, as humans, to be having this conversation about the power of this. How can we use this for good? How can we use this to make the world a better place and improve people’s lives? “The Big Data revolution is underway: as the size, scope, and speed of data flowing into businesses grows, so does our ability to store and analyse it. Recent research revealed, that around 48.4% of Fortune 1000 companies are now achieving ‘measurable results’ from Big Data ventures, while 80.7% of their executives described those investments as ‘successful’. With so many opportunities on the table, the potential advantages of Big Data for HR and payroll – both highly-data focussed fields – would seem self-evident. Payroll and HR processes both involve the analysis of vast, complex data sets pertaining to employee and client demographics, wages, taxes, social security, work hours, and an array of additional administrative factors. Regardless of a business’ size, the data generated and used by payroll and HR departments can be unwieldy and incoherent when viewed from ‘ground level’, but when fed into the analytic machinery of a Big Data platform, that same data can be used to generate valuable insight into previously opaque, and discrete, processes and systems.”( Understanding The Role of Big Data in HR Processes and Payroll, Sandra Sommerville,Smartdatacollective). With the job market becoming more candidate-driven, HR professionals are having a hard time filling open positions with quality talent. This is because recruiting in a candidate-driven market generally requires more time and is often more costly. According to the 2016 Glassdoor eBook, “50 HR and Recruiting Stats That Make You Think,” the average amount of money companies spend filling an open position in the United States is $4,000. Additionally, it takes recruiters an average of 52 days to fill an open position. The lack of credible data doesn’t have to be a source of frustration for HR recruiters. Specific to the HR industry, big data has been shown to help with real-time prediction of hiring needs, improving the quality and retention of new employees and connecting recruiting performance with business performance. Here is a more detailed explanation of some of the advantages of data-driven recruitment. Neither big data nor technology will ever fully take the place of a skilled HR professional, but both can help better inform decision making and increase productivity. According to a 2016 article by Talent Culture, there are several big data trends expected to impact the HR industry in the next couple years. o	Vanity metrics are going away – Vanity metrics are statistics that look good on paper, but offer little insight. When it comes to data, quality is much more important than quantity, and the application of metrics is also growing in importance. As companies implement data analytics and train their employees to use these new programs, they are mostly focusing on the strategic use of the data they are collecting. o	Smarter predictive analytics – As a whole, predictive analytics can be a useful tool for a business. Predictive analytics can provide a forecast of trends in the industry, as well as provide insights into employee benefits, talent management and promotions. For example, businesses can use predictive analytics to measure the effectiveness of employee training activities and identify which employees are more likely to hit their target goals and why. o	Data can put value on human capital – Businesses often claim that human capital is one of their most important assets; however, many companies struggle to back up that statement with data. With data analytics, companies are able to assign financial value to the individual tasks that keep the business running so they can better understand the financial impact of every employee working for the organization. o	Analytics tools are becoming simpler and more affordable – One thing that has held some companies back from fully adopting data analytics is the lack of affordability and the complexity of programs that are available. However, as the popularity of business intelligence and big data continues to grow, so too will the number of options for businesses looking to implement data analytics. o	Collecting data with sensors offers a new perspective – HR professionals are beginning to discover the power of sensor-driven data. Online listening platforms and internal monitoring systems are a few ways businesses can collect data via sensors. Sensors can help HR departments monitor worker safety and regulate HR compliance policies. o	Data analysts are in high demand – According to an article by CNBC, data analyst is the sexiest job of the 21st century, and jobs in the field are in high demand. A skilled data analyst, sometimes referred to as a data scientist, analyzes data and produces actionable reports. If organizations want to meet their analytics needs, they will need to get creative during their search for this kind of talent. (The Role of Big Data in HR,Bisk,Villonova University). o	What Are The Benefits of Big Data in HR? o	New tools and technology is needed because big data is so big, fast changing and potentially unstructured. With these tools, HR organizations are able to perform analytics and forecasting to make smarter and more accurate decisions, better measure efficiencies and identify management “blind spots” to answer important questions regarding workforce productivity, the impact of training programs on enterprise performance, predictors of workforce attrition, and how to identify potential leaders. The ability to capture and analyze big data has enabled many companies to both increase revenues by better understanding and more accurately targeting customers and cut costs through improved business processes. The biggest problem for HR people managing talent has been a lack of numbers and a lack of data to put on the table in business discussions. With our people analytics offerings, Cornerstone Insights and Cornerstone Planning, we removed the barriers for organizations who want to answer important talent management questions but aren’t quite sure where to start. We are helping them to take the power of big data from insights to action. ( Big Data in HR,Cornerstone). Big data is steering big changes in the domain of HR and helping solve some of the trickiest challenges of the industry. Big data is making big waves in the business world and a company’s human resources department is not immune to its impact. With the growth of big data, HR is all set to become more strategic and data-backed to assert its importance to senior leadership. In the present times, big data analytics and HR work together to create opportunities for businesses and enable the management to take evidence-based workforce decisions. Big data not just helps the talent acquisition department but also helps the entire human resource department to make analytics-driven decisions. Big data can help human resource to speed up the hiring process, improve productivity, understand employee turnover, manage talent, improve sourcing and reduce the hiring cost, all of which will lead to significant competitive gains. Adopting a cloud-based approach and using the HRSS data can make an enormous difference and open the possibilities to find the hidden insights. The key here in managing this progression from descriptive to predictive analytics lies in applying statistical techniques on the data and analyzing it. With the right knowledge, big data can empower HR leadership to get insights and make predictions about the company’s future. It would give them the clout to vouch for the recommendations they make on tackling industry challenges and making the best of available opportunities. •	People data: This data set mainly Includes employee data pertaining to their demographics, skills, engagement scores, awards received, work experience, compensation details etc. •	Performance data: This includes the data recorded by performance instruments such as appraisal ratings, 360 assessment, talent profile, goal attainment, and succession and talent programs. •	Program data: Here the records from employee’s participation in programs, training and development workshops, attendance as well as data regarding the key projects and assignments are captured. Once the data challenged is solved, there are four crucial areas where the HR Analytics team can help preempt and solve your workforce issues with data-driven approaches. In the current dynamics of hiring, filling a position fast is not enough. Getting the right person for the job who fits the position skill wise, is highly engaged and fits to the culture is also important. This is where big data can help you to evaluate your quality of hire. Having precise knowledge of the skill gaps and hiring needs in your company allows you to hire more relevant people for the job. Having data driven knowledge of the candidate’s compatibility or relevance to the job helps the hiring team to pick the right talent from the pool and contribute to the organization’s success. ( How big data can solve your big HR problems .peoplematters).